Do you see a trip to Las Vegas in your future? If so, you have made the ideal vacation choice, especially if you love fun and adventure. Vegas provides something for everyone in the form of shows, gambling, shopping, and dining. 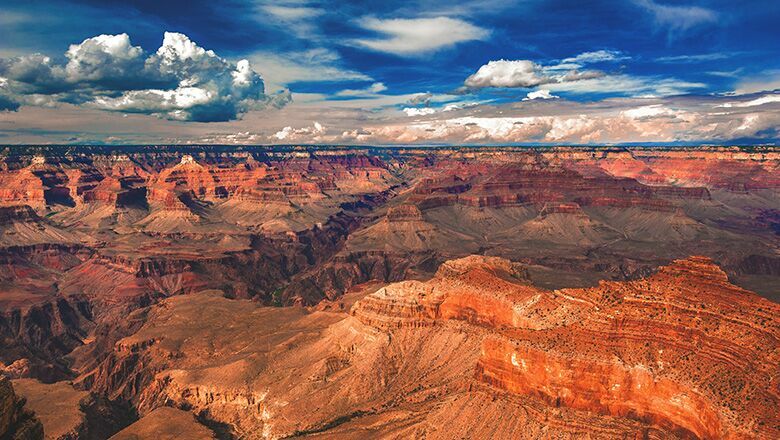 To round out your Vegas trip, don’t forget to add a Grand Canyon bus tour to the itinerary. To ensure dependable bus transport, contact us here at Grand Canyon Destinations to take you to Grand Canyon sites. We can provide a Grand Canyon bus tour to the South Rim or West Rim of the Canyon. By making this choice, you can see sites, such as the Skywalk in the West Rim or walk the Rim trail in the South Rim. If you are a first-time traveller, choose the South Rim, as it is less remote and features several sites where you can learn more about the park and attractions. By choosing to book a luxury bus tour with us here, at Grand Canyon Destinations, you will enjoy state-of-the-art amenities, including cushioned and adjustable seats, with adjustable headrests and footrests, as well as panoramic window views. An on-board restroom will make the journey more comfortable. Don’t worry about adding the tour to your schedule, as we provide on-time pick-ups and drop-offs to and from your hotel. When you take one of our Grand Canyon Bus tour trips, you will learn more about the sites from knowledgeable and friendly guides. They will make sure that you are thoroughly entertained and informed when you travel with us. That way, you can learn more about Grand Canyon National Park first-hand, and gain more value from the experience. We can help you explore the South Rim, West Rim, Lake Mead and Hoover Dam. Return in the evening and be greeted with the neon and lights of the Strip. If you want to learn more about Southwest flora and fauna, you cannot pass up the chance to take a Grand Canyon daytrip. Take part in an adventure that is both comfortable and affordable – one that will enhance your Vegas vacation and make your trip all the more special.